The demographics of Sydney makes it difficult for a local team to dominate. The city attracts people from all over the country, and they bring their favourite teams with them. We’re competing against Brisbane and Melbourne and Canberra and all the rest of teams as much as we are Sydney. One team presents an acute challenge. This is actually getting to how you build a fan base brick-by-brick, fan-by-fan, and get people to understand what Sydney represents. It’s a very crowded landscape. It’s going to take time. The way you do it, you play good football. You have players who people not only recognise but they like and understand. You have a coach who brings a good style of play. And the relationship with sport becomes deep and simple. My main theme for this post being the case for a Sydney representative team playing in the national competition fed from the existing Sydney teams. Player selection could be similar to the way the City team was selected to play against Country in the defunct fixture, the difference being they would be playing in the national competition against teams outside of Sydney. I’ve heard the argument that if you dropped the Sydney clubs into a feeder competition, the fans of those clubs will abandon the game because Sydney league fans aren’t interested in coming together to support a common cause. I’m outward looking and believe people support their city, state, and national representative players and teams. We look inward to elevate those type of players and it works to have Townsville, Brisbane, Gold Coast, Newcastle, Canberra, Melbourne, Auckland… Sydney would work as well. The opportunity became available in 1998 when the NRL formed and there were 20 teams which proved too many because of quality reasons. There’s a time for everything. The swell has grown and the wave is ridable. It has been for a while. 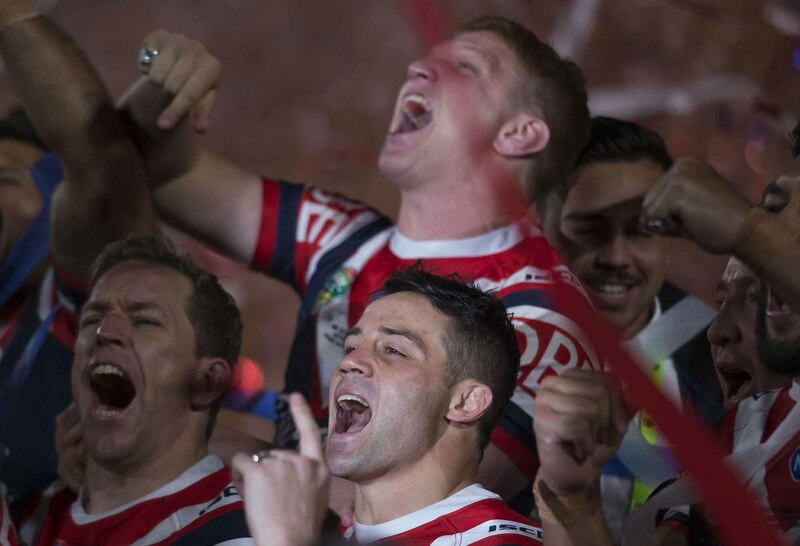 Having a look at the number of finals teams from Sydney have won since 1982, the year rugby league opened its doors to the world outside of Sydney, I would probably expect a Sydney representative team to be at the top of the final wins list. The wins for Sydney teams as individuals appear to be fractured and there’s a long waiting time whereas united they would probably be whole and frequent. I say probably because with one team representing Sydney the door is open for players seeking higher reputation opportunities with teams outside of Sydney rather than settling for playing in a feeder team. This means the rest of the teams in the national competition can pick up those players and strengthen their own. It also opens the door for expansion into areas such as Adelaide and Perth, and raise the reputation and credibility of the league considering more than half the teams in the national competition are from Sydney. For quality reasons, we would have eight teams to start with: Townsville, Brisbane, Gold Coast, Newcastle, Canberra, Melbourne, Auckland, Sydney. A total of 21 rounds, one home match, one away match, one match at a probable expansion area, maybe Adelaide and Perth. Never know, cities may grow and warrant selection for inclusion in the future. People might argue the validity of Auckland and have a point and why not have an Oceania competition. What would happen if there was one team representing Sydney? The surplus of players who can play first grade and miss out would probably go to other teams outside of Sydney rather than settle for a lower reputation league. Or maybe not. What if teams outside of Sydney were at full strength and do not take the surplus from Sydney? From what I understand there’s no salary cap on state teams and national teams. Example, selectors don’t say to a player. On the contrary, selectors want epic players playing and epic coaches coaching for quality reasons, but for some reason, there is a salary cap on clubs. Which brings us to the question of qualification criteria for the national competition team, example Sydney, considering the criteria for New South Wales and Australia and keeping the selection model consistent. I like the geographical model that says if you’re registered to a club in that city, that state, that country, then that’s who you’ll represent. There are players who miss out on state selection because there’s one state team, there are players who miss out on national selection because there’s one national team. This creates a surplus. Surpluses are dealt with much the same way as immigration. People leave to find opportunity elsewhere and this could be a good thing for the sport.